The California Air Resources Board (CARB) proposes to amend its Zero Emission Vehicles (ZEV) program to help the state meet its goal of reducing greenhouse gas emissions 80% below 1990 levels by 2050. 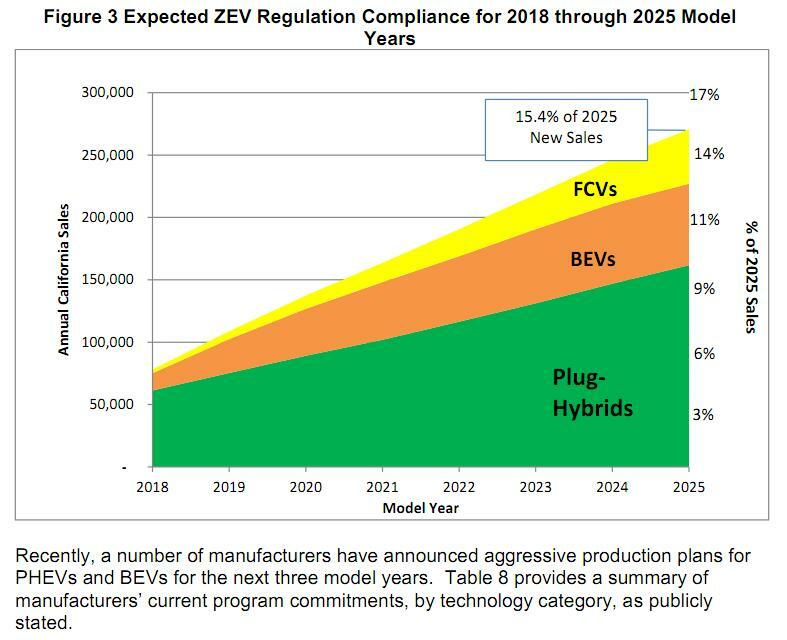 Under the proposal, ZEVs — plug-in hybrids, battery-electric vehicles, and fuel cell vehicles — would account for 15.4% of all new cars sold in California by 2025 and nearly 100% by 2040. 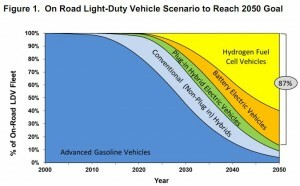 By 2050, 87% of all vehicles on the road will be ZEVs, CARB estimates. Back in 1990, California adopted a law requiring specified percentages of all new cars sold in the state to be ZEVs: 2% by 1998, 5% by 2001, and 10% by 2003. 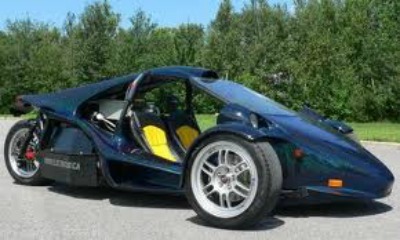 The scheme was reminiscent of Soviet-style production quotas, and worked about as well. Automakers can be coerced into producing electric vehicles, but that’s no guaranty consumers will buy them. Due to the vehicles’ high cost and their limited range between recharging, the consumer response to electric cars was underwhelming. CARB had to relax the quota several times, scaling back the 2003 goal from 10% percent to 2%. Even that goal proved wildly unrealistic, and in March 2008, CARB proposed to diminish the mandate to 2,500 all-electric vehicles, to the consternation of the aptly named Ze’ev Driori, CEO of Tesla Motors, a manufacturer of battery-electric vehicles. Now CARB is at it again — or they never really stopped. 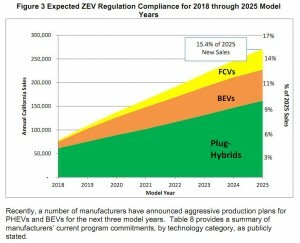 To comply with its greenhouse gas emission standards, automakers will sell 250,000 ZEVs in California by 2025, the agency estimates. Automakers currently offer about 265 models that achieve 30 mpg or more, including electric vehicles, said Gloria Bergquist, spokeswoman for the group. “In 2010, hybrid sales were only 2.4 percent of total sales,” Bergquist said. “And there were 30 models on sale, and all 30 combined were outsold by the single best-selling pickup truck [Ford F-150]. This year, even with higher gas prices we are seeing the same thing. 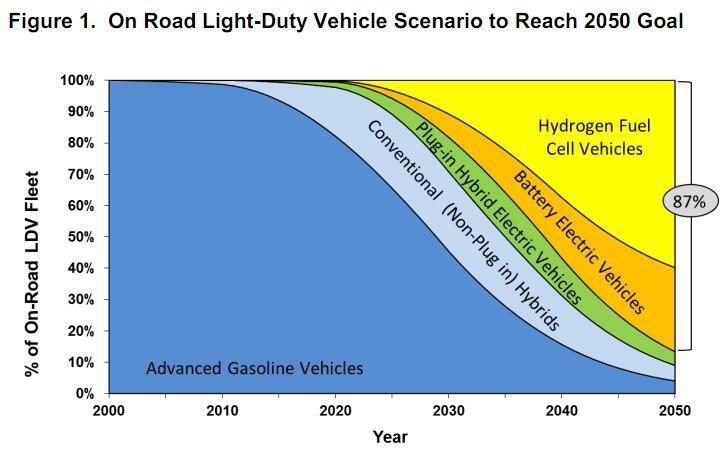 The graph shows the green fascist desire to force everyone to use hydrogen fuel cells by sometime in the future, by dictat. But H2 fuel cells produce a greenhouse gas which is MUCH, MUCH worse than CO2 – H2O, or water vapor to the numskulls.